Off season travel has surprising benefits. We traveled to Cuba during the low tourism rainy season and as a result suffered fewer lines, had more access and had less competition for resources. More importantly, it was easier to observe everyday rhythms and non-vacation life. If we consider every place as someone’s home then travel becomes, for me, more compassionate and more interesting. 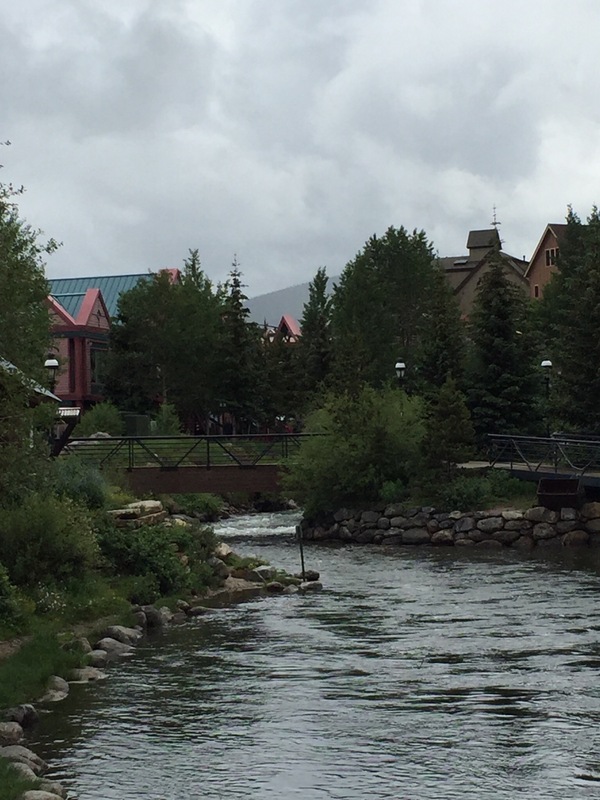 I’m visiting Breckenridge, Colorado with my sister’s family. It is July. It has been cool and raining. Not the ideal vision of a winter ski resort. The primacy of winter is apparent everywhere in the merchandising and city layout. Yet. There is something delightfully surprising about the burst of colorful flowers everywhere,the lush green that erupts from under snow-capped mountains. There is something defiant about summer here struggling against the cold and rain. The brief moments of sun feel….glorious. Getting a morning coffee we pass people biking, jogging, going to yoga despite the sprinkling rain. They may be tourists or resident, regardless they are at home. Over a 10,000 feet above sea level, we have our heads, literally in the clouds. Rain is a part of being here in summer. Being here off season. Being here when it is less than ideal. Being here when it is perhaps more, real. Beignets at the Lost Cajun is comforting on a rainy cool day. July 22, 2016 in Random Stuff. Biegnets are pretty much good for everything!